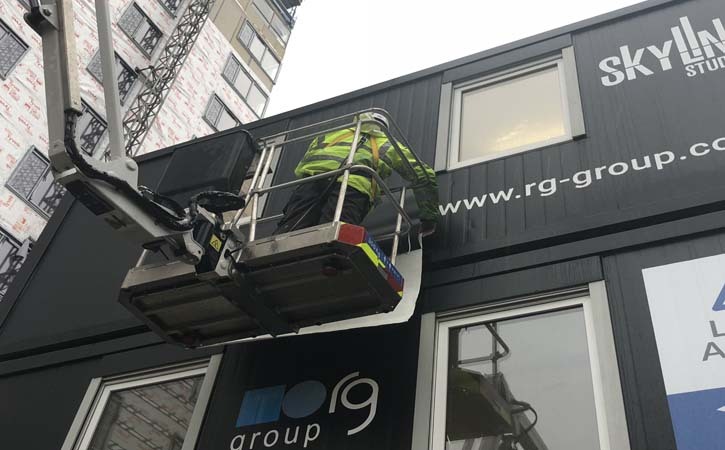 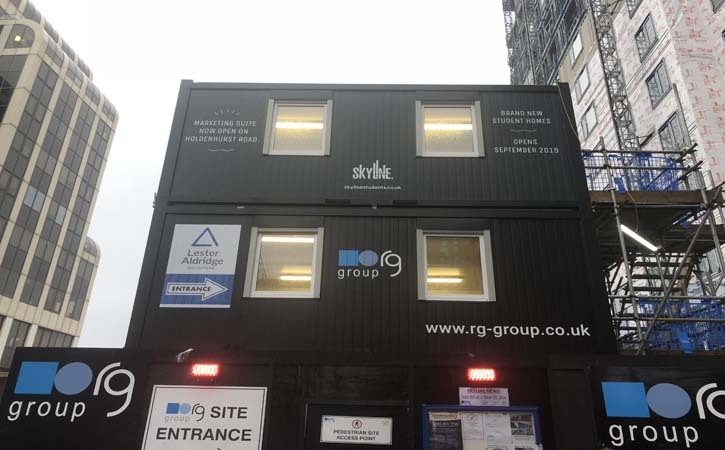 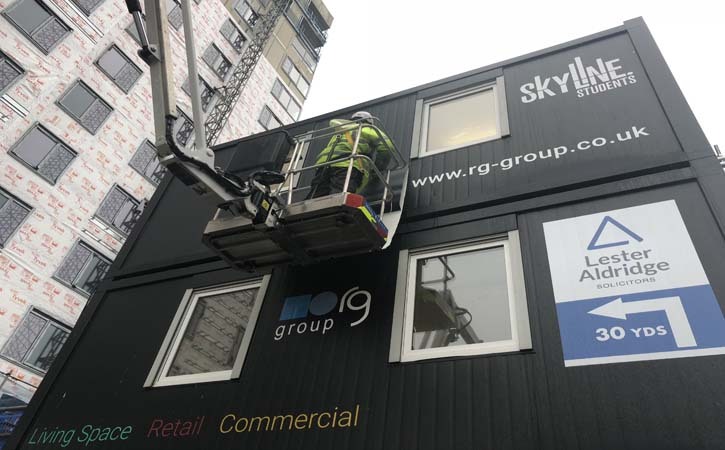 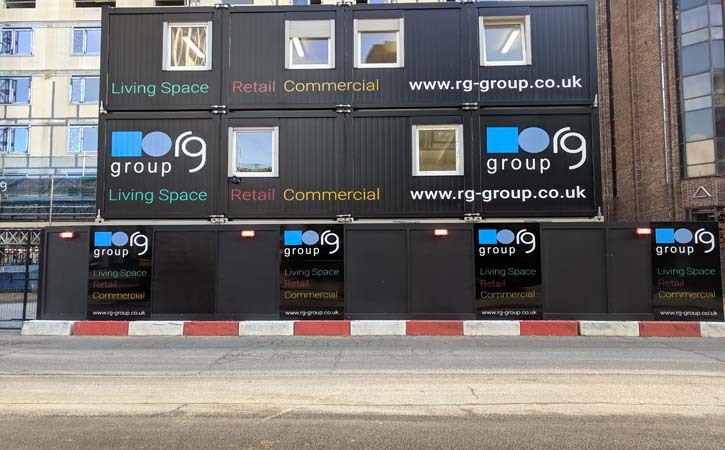 New student accommodation is due to open in September 2019 and what better way to shout about it than a promotional message on the high rise portacabin. 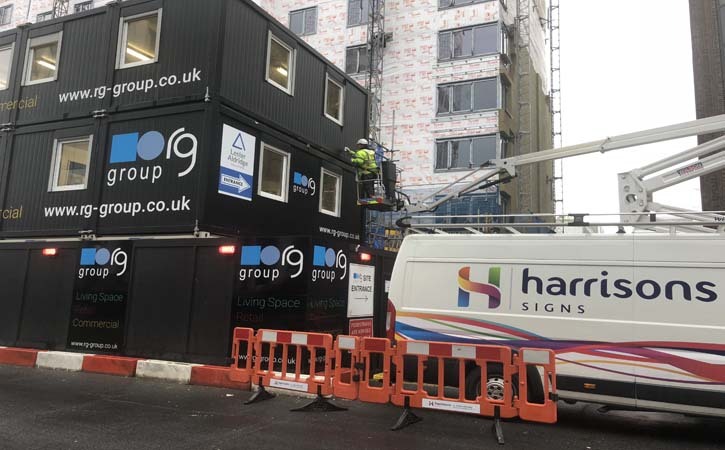 Digitally printed vinyl graphics were applied to the cabin, block out vinyl was used to make sure the original graphics were completely covered. 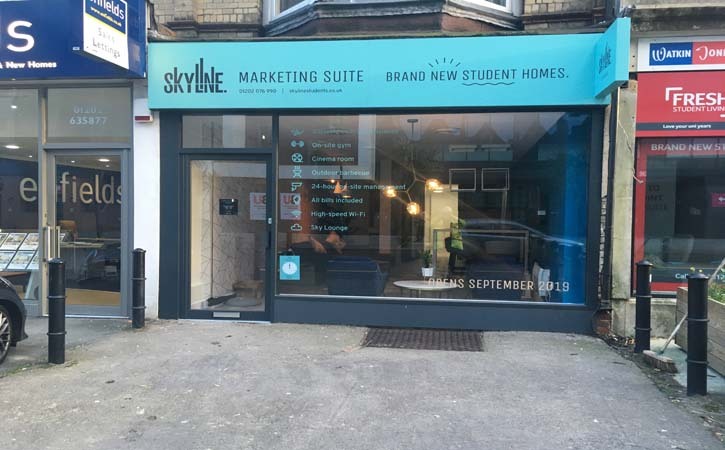 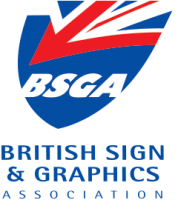 The Marketing Suite has a new look, with a brightly coloured fascia and projecting sign, together with window graphics to promote the facilities on offer. 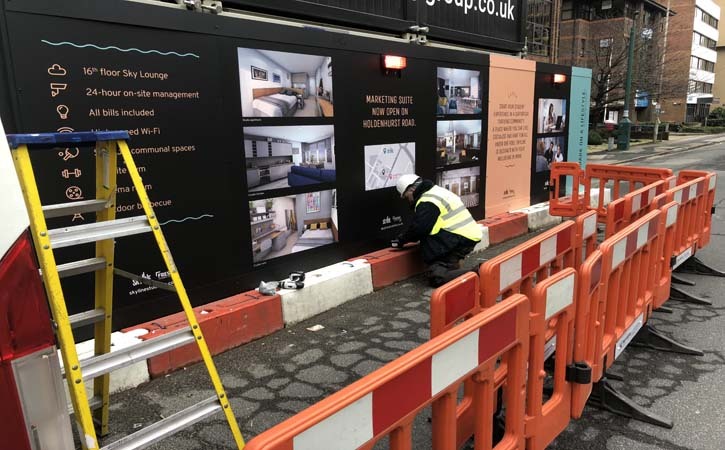 We applied digitally printed graphics to the hoarding panels in an anti graffiti vinyl, a great way to show off the new development.